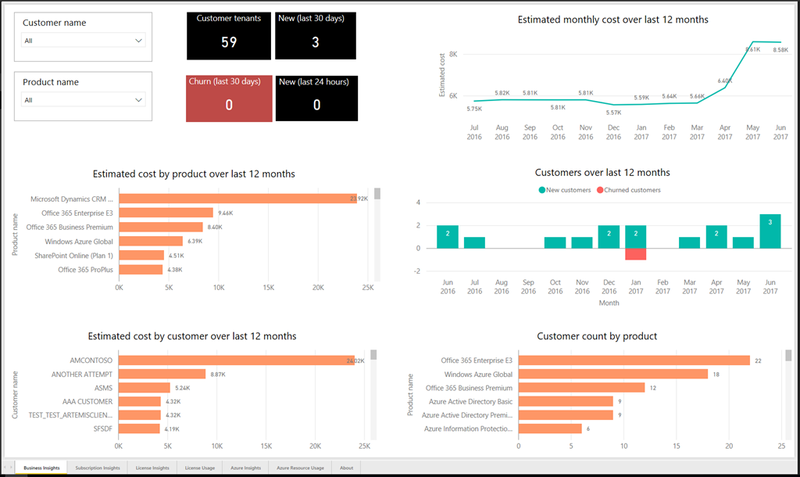 We’re pleased to announce the public preview of the new Partner Center Analytics App for Power BI for direct partners. Growth of your customer base, subscriptions, and licenses. 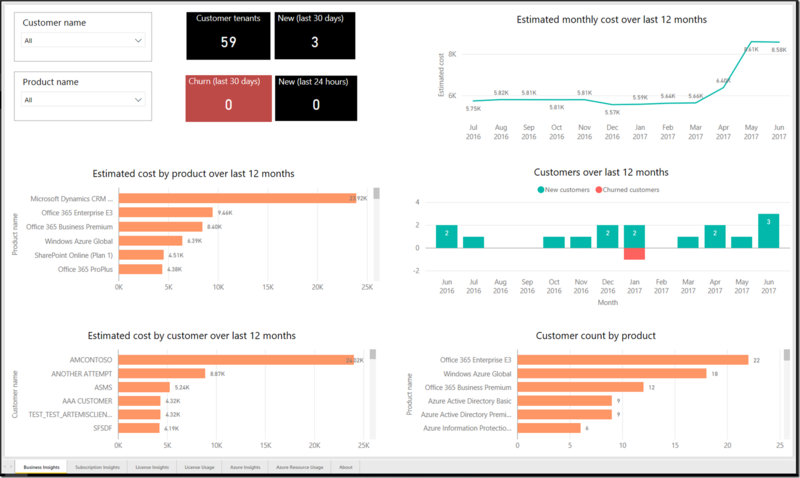 Usage of Office 365, Microsoft Dynamics, and Microsoft Azure products. Daily consumption units for each metered resource in each Azure subscription for the last 60 days. Estimated cost based on latest rate card. 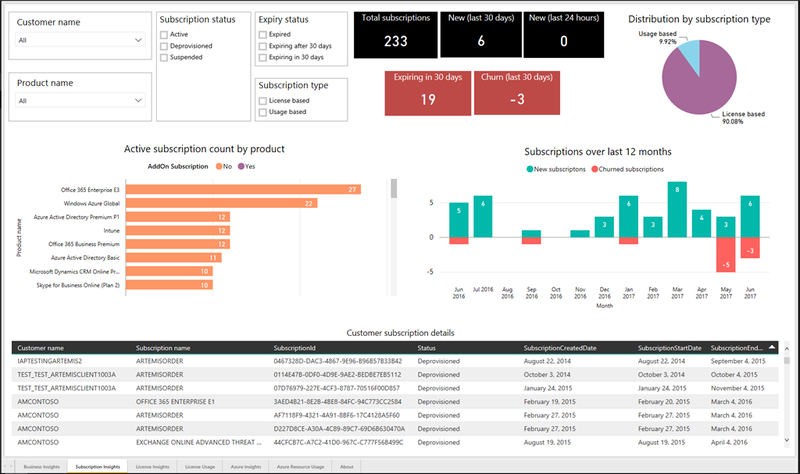 Ability to export datasets and create custom reports, including per customer. 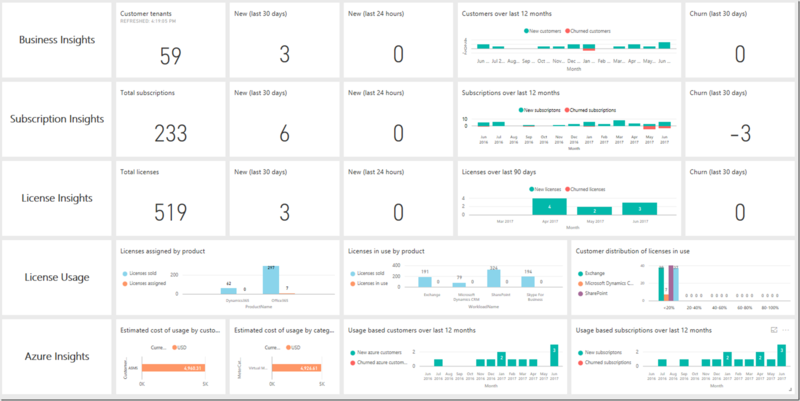 Get started with the Partner Center Analytics preview now by following the installation steps here. 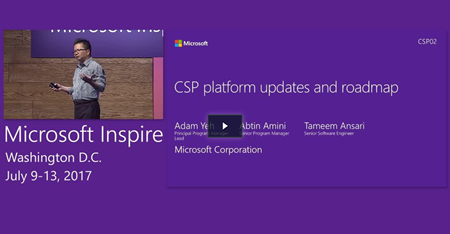 You can also watch the following video (starting at minute 39) to view a demo of the Power BI app that was presented at Inspire 2017 in “CSP02 – CSP Platform Updates and Roadmap” breakout session on Day 3.